Operation School Bell began in Irvine in 1990. Since then our program has dressed more than 12,000 students in the Irvine Unified School District! 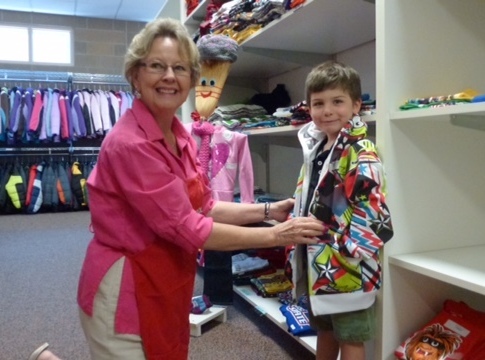 Assistance League Irvine’s largest philanthropy is Operation School Bell (OSB). 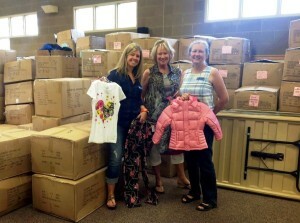 This program is a free, confidential clothing service for Pre-Kindergarten through 12th grade children in need. Children who go to school without adequate clothing often suffer low self-esteem. Assistance League Irvine works closely with the schools to identify children who would benefit from our services. We also service emergency requests from Families Forward and Human Options. No child should have to go to school in the same clothes day after day which are too small or worn-out from repeated wearing. The clothing provided by Operation School Bell are often the first new clothes these children have ever worn. Participating children acquire a sense of pride, belonging and confidence in themselves. It is Assistance League Irvine’s hope that students who feel good about themselves are more successful in school. Funding for Operation School Bell comes from cash contributions, grants, fundraising, and income from our Thrift & Gift Shop. Each year, to participate in Operation School Bell, September through mid-November, contact your Irvine Unified School District (IUSD) school office during business hours. Applications are only provided through each Irvine Unified School District office. In Fiscal Year 2017-2018, We Served 720 Children in Irvine Unified School District! 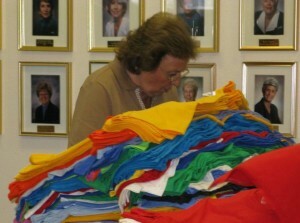 Our Members Volunteered Over 1300 Hours for Operation School Bell Last Year!